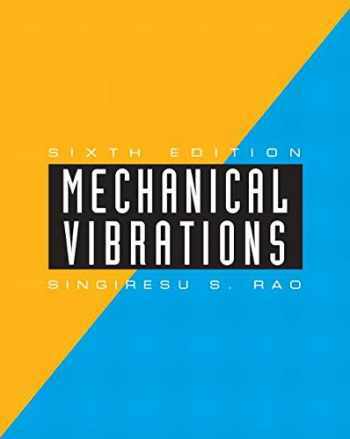 Acknowledged author Singiresu S. Rao wrote Mechanical Vibrations (6th Edition) comprising 1152 pages back in 2016. Textbook and etextbook are published under ISBN 013436130X and 9780134361307. Since then Mechanical Vibrations (6th Edition) textbook received total rating of 4 stars and was available to sell back to BooksRun online for the top buyback price of $96.10 or rent at the marketplace. For courses in vibration engineering. Building Knowledge: Concepts of Vibration in Engineering Retaining the style of previous editions, this Sixth Edition of Mechanical Vibrations effectively presents theory, computational aspects, and applications of vibration, introducing undergraduate engineering students to the subject of vibration engineering in as simple a manner as possible. Emphasizing computer techniques of analysis, Mechanical Vibrations thoroughly explains the fundamentals of vibration analysis, building on the understanding achieved by students in previous undergraduate mechanics courses. Related concepts are discussed, and real-life applications, examples, problems, and illustrations related to vibration analysis enhance comprehension of all concepts and material. In the Sixth Edition, several additions and revisions have been made—including new examples, problems, and illustrations—with the goal of making coverage of concepts both more comprehensive and easier to follow.